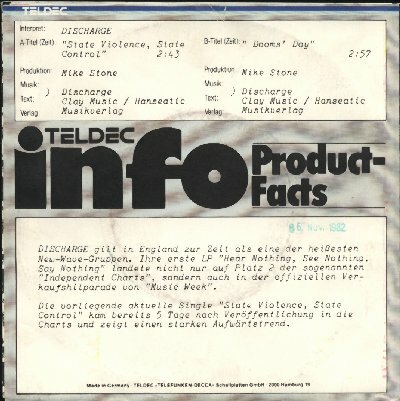 Here is a strange one. 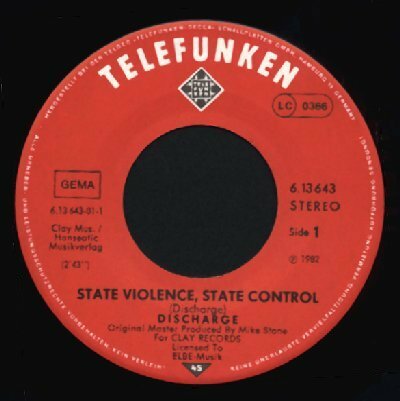 The Discharge - State Violence State Control German 7"
This is the only copy I have ever seen with the "Teldec info Product-Facts" rear sleeve. It's actually printed and not typed and pasted on as it appears in the image. These were given out to radio stations as promos. 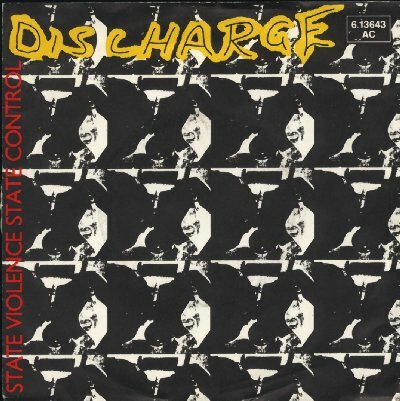 The rarest Discharge single? Probably.